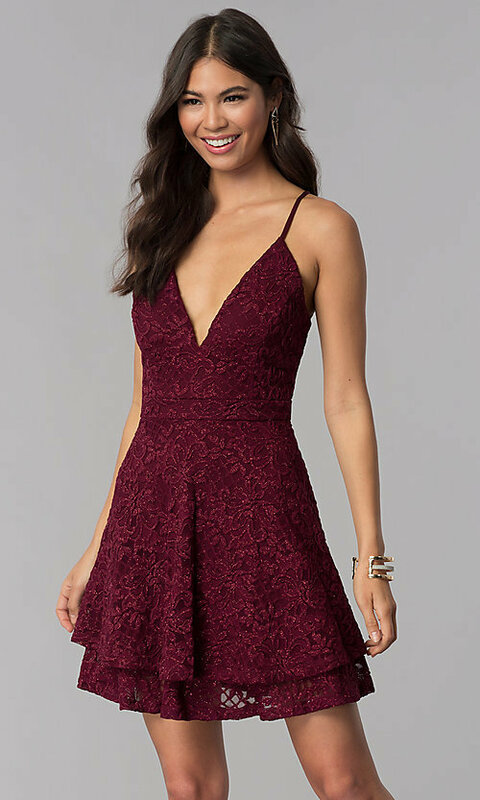 Fashioned from wine red glitter lace, this short homecoming dress is a gorgeous choice for just about any semi-formal event. 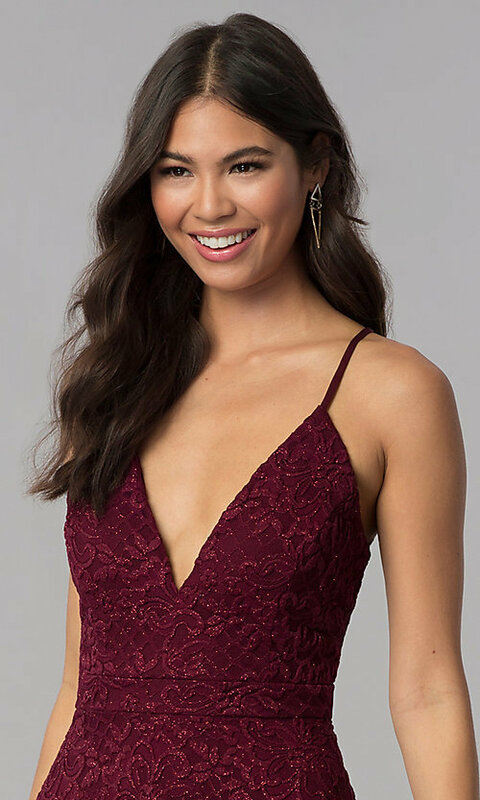 Ultra-thin straps offer support along the top of this little red party dress, connecting the plunging v-neck front to a flirty sheer racerback. Adding to the sultry tone, a triangular-shaped cut out crowns the short skirt under the scalloped trim of the racerback. This semi-formal party dress also features a coordinating band around the natural waistline to subtly define the figure, while tiers of beautiful red glitter lace extend to an above-the-knee hem to complete the look with style.